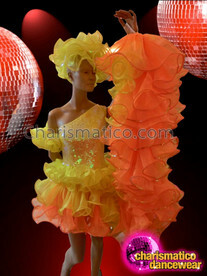 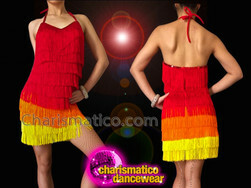 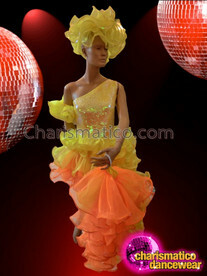 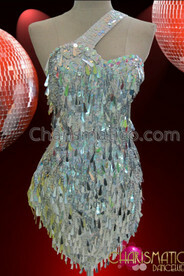 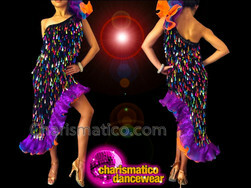 Neon Yellow fabric fringe and asymmetrical design call to the salsa like no other type of dance dress. 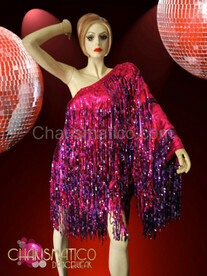 These exotic looks are perfect for showing off your moves as only a classically set costume can do. 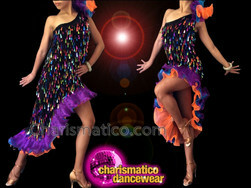 Tradition is why we keep it.